For the last 12,000 years, people have relied on dogs to help them get their work done. One of the first jobs dogs were used for was tending sheep, cattle, goats and other livestock. 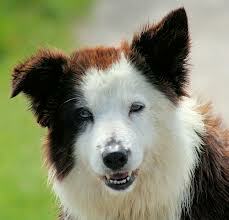 Today’s sheepdogs, including collies, shelties, shepherds and Old English sheepdogs, were all bred to herd animals. If you’ve been around sheep dogs, you know that they like to herd things. They might even nudge you or try to herd you! They’re usually easy to train and obedient to their owners. They make good watchdogs too and they’ll let you know if someone’s at the door. Border collies( SheepDogs) are the most intelligent dog species in the world. Old English sheepdogs were popular with rich Americans in the late 1800s. Some of America’s wealthiest families, such as the Vanderbilts and the Morgans, kept and showed these dogs. 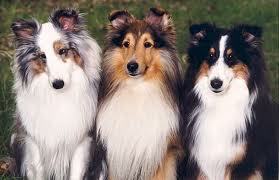 Shelties were developed on Shetland, a tiny island off the coast of Scotland. Everything on this island is small – the sheep, the horses and even the dogs. 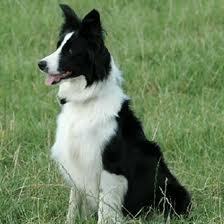 The dogs in the movie “Babe” were border collies, a type of sheep dog. Border collies are the most intelligent dog species in the world. 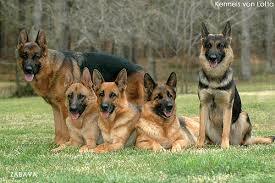 German shepherds were originally bred as sheep dogs. A video of facts about border collies and how easily they can be trained. Question: Do border collies make good pets? Answer: That depends. They try to herd kids and might even nip your heels or bark at you. They also have a lot of energy. Question: Do sheep dogs shed? Answer: Most sheep dogs have long coats to protect them from snow and rain. They need daily brushing and they do shed. Enjoyed the Easy Science for Kids Website all about Sheep Dogs info? Take the FREE & fun Sheep Dogs quiz and download FREE Sheep Dogs worksheet for kids. For lengthy info click here. Declan, Tobin. " Fun Sheep Dog Facts for Kids ." Easy Science for Kids, Apr 2019. Web. 21 Apr 2019. < https://easyscienceforkids.com/all-about-sheep-dogs/ >.